Why Is Flossing So Important for Your Teeth? The dentist is not the only one who can provide preventative measures that help you avoid tooth decay and periodontal disease. Your at-home oral hygiene is extremely important when it comes to keeping your teeth and gums clean and healthy. 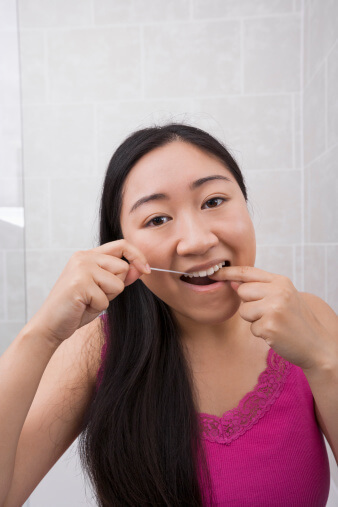 Keep reading to learn more about flossing and why it is so important for your whole mouth. Although your toothbrush is extremely effective at removing food and plaque on the top of your teeth and along your gums, it cannot reach the vulnerable areas between the teeth. Dental floss fits between the teeth to clear out any food or plaque that your toothbrush cannot get. This ensures that you get your teeth extra-clean to help you avoid issues with decay, cavities, and gum disease. If you floss before you brush your teeth, you can break up food and other buildup and then use your toothbrush to clean them from your mouth. This makes it even more effective to brush your teeth and can drastically reduce your risk for issues such as tooth decay and cavities. Floss at least once a day to get the best results from your oral hygiene routine. When you floss, you can also dislodge food and bacteria that sits along your gum line. If you floss, you can get your gums clean and prevent inflammation that could lead to gingivitis and more serious forms of periodontal disease. Flossing every day removes tiny particles that could eventually cause big problems for your teeth and gums. John R. Carson, D.D.S. provides general and preventative dentistry services that can help you avoid problems with tooth decay and periodontal disease. Dr. Carson is one of Tucson’s leading dentists because he is committed to providing you with the level of care that you need to maintain a healthy, beautiful smile. To learn more about our dental services, call us at (520) 514-7203. Before the dentist starts to work on the tooth, he or she will first take an X-ray to make sure that the infection has not spread to the bone. Once he or she is sure that the infection is only in the affected tooth, the dentist uses an anesthesia to numb the area to get it ready for the procedure. The next step of the procedure is to remove the damaged pulp, the nerve tissue, and any debris that might be negatively affecting the tooth. The dentist must first drill a small hole into the tooth and then use root canal files to reach down into the tooth to remove all of these parts. After the area is cleaned, the dentist seals it. If there is still an infection in the tooth, though, the dentist might first medicate it, add a temporary filling, and ask you to come in for another appointment before the final sealing. The dentist uses a combination of sealer paste and a type of rubber to fill in the tooth and prevent further issues. He or she might need to add a dental crown to reinforce the tooth and strengthen it after decay and infection have caused some foundational issues. Dr. John Carson offers overall dental care in Tucson that includes root canals, dental crowns, and cosmetic dentistry to help you get a healthy, beautiful smile. If you are experiencing pain, want to get your teeth whitened, or just need a general cleaning, our office is here for you. To learn more, visit us online or call (520) 514-7203. Preventative dentistry gives the dentist a way to stop oral issues before they even start. 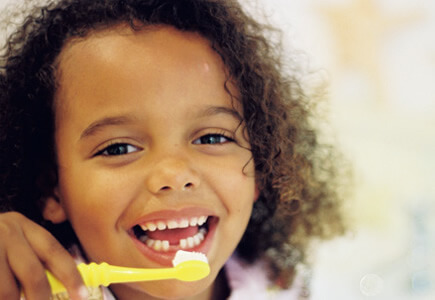 Dental sealants are used to prevent tooth decay and the other issues it can cause. Keep reading to learn more about sealants and how they manage to protect your teeth from this kind of decay. 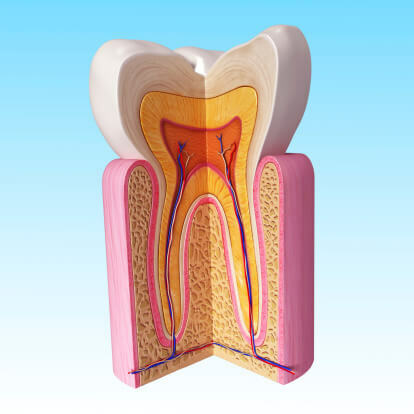 Dental sealants are used to reinforce teeth like the molars and the premolars. These teeth tend to have a lot of grooves where plaque and bacteria are more likely to develop and lead to decay. When there are a lot of fissures, it is much more difficult to clean the teeth, which puts you at a much higher risk for developing cavities. On top of regular oral hygiene habits, dental sealants are used to give the teeth extra protection against this potential for decay. Dentists typically put dental sealants over the teeth that are used to chew, since these are the most likely to have pits and grooves that make it difficult to keep the teeth clean. If someone has other teeth with these grooves, a dentist might use sealants to decrease their risk for tooth decay and cavities. Dentists also sometimes recommend them on baby teeth to prevent children from developing cavities. When a dentist applies a dental sealant, he or she first thoroughly cleans the area and then adds an acidic solution to the surface of the tooth. After the appropriate amount of time, the dentist washes off this solution and attaches the sealant. The dentist can use a special light to harden the sealant and ensure that it fits properly over the tooth. If you think dental sealants can help you avoid cavities, come see Dr. John Carson to talk about this and other preventative dentistry options. Dr. Carson is proud to serve as one of Tucson’s top dentists by offering services such as general, preventative, and cosmetic dentistry to give you the smile you want. To learn more about our services or to schedule an appointment, call (520) 355-4855. Although oral hygiene is important throughout every stage of life, one must pay special attention to the condition of their teeth and gums in the later years. Use this guide to learn about some healthy oral habits to incorporate into your daily routine after the age of 60. Older adults are at a higher risk for developing cavities, in part because a lot of medications cause dry mouth as a side effect. If you want to avoid cavities and tooth decay, it is imperative to thoroughly brush your teeth to get rid of plaque and food buildup that might cause an issue. Brush your teeth twice a day with fluoride toothpaste and a soft-bristle brush to get the best results. If you wear dentures, it is just as important to clean them as it is your natural teeth. You should clean them every day and only use cleansers that are designed for dentures. Regular toothpaste might be too harsh for the dentures and could cause unnecessary problems. Do not wear your dentures all day every day; it is important to take them out for at least four hours a day to give your gums some time to breathe. You should always visit your dentist at least twice a year to get a more thorough cleaning and a checkup that helps you keep your mouth healthy. Tell your dentist about any medications that you are taking and any issues you are experiencing with your oral health. 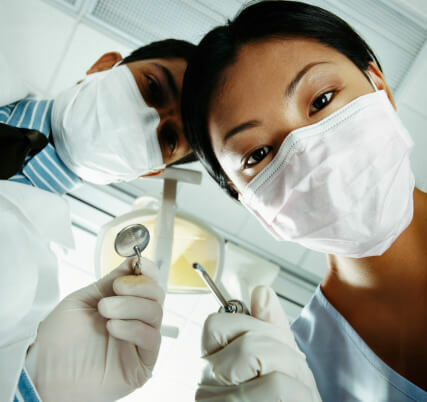 When you can communicate well with your dentist, it helps you get the best care. John R. Carson, D.D.S. is one of the best dentists in Tucson and gives you the help you need to maintain healthy teeth and gums at any age. Whether you are concerned about your mouth or you just want to get a regular checkup, our office is here for you. Visit us online or call (520) 355-4855 to learn more or to schedule an appointment. We’re Excited to Announce Our Interactive Content Piece! All of us here at the dental office of John Carson, DDS are very excited to announce the debut of our new interactive content piece called “The Deadly Consequences of Poor Dental Care (Click Here to View).” This is completely different than a traditional infographic because it’s fully interactive, allowing users to see firsthand how poor oral health affects other parts of the body. That the presence of oral bacteria has been linked to sleep apnea, ulcers, endocarditis, Alzheimer’s, and more? That not flossing can lead to an increased risk of heart attack? And that’s just a small percentage of the risks that stem from not practicing good oral health habits. Most importantly, all of the information on this resource is backed up by cited academic sources! We’re hoping that this infographic will help people understand the critical importance of taking care of their teeth by brushing, flossing, and visiting their dentist regularly. We’re very proud of our oral health resource and would be honored if you shared it with your friends! Suzan Abou-Raya, Amr Naeem, Hassan Abou-El Kheir and Sheriff El Beltagy, “Coronary Artery Disease and Periodontal Disease: Is There a Link?” Angiology, March, 2002. Your daily activities can wreak havoc on the condition and the aesthetic appeal of your teeth. If you pay more attention to your oral hygiene routine and the foods that you eat, you can maintain a beautiful smile that you want to show off. Here are some routines to adopt that will help you get whiter, brighter teeth. The way you brush and floss your teeth can affect the way that they look. You should brush your teeth twice a day with fluoride toothpaste. To get the best results, brush your teeth for at least two minutes. If you get a toothpaste brand that whitens, it will give you a little bit of an extra edge when cleaning your teeth. Floss once a day to get rid of any food or bacteria that your toothbrush may have missed. Certain aspects of your diet could be thwarting your whitening efforts without your knowledge. Try to stay away from foods with a lot of sugar and starch. You might also want to limit your intake of coffee, tea, and red wine. Instead fill your plate with citrus fruit, dairy products, lean protein, and leafy vegetables that are better for your teeth and your overall health. Drink a glass of water after every meal to give your mouth an extra cleaning. You can also schedule regular appointments with your dentist for teeth whitening treatments that help you get that bright smile you desire. This process is safe and effective so you can get the look you want with minimal effort. 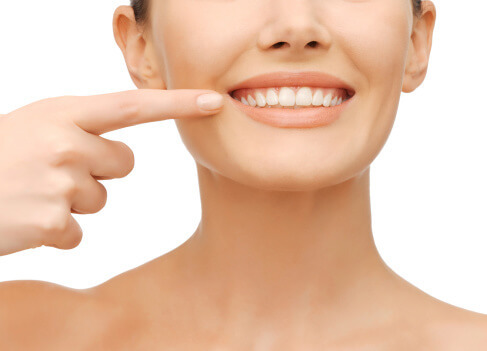 The dentist can find the right whitening treatment for you to give you the best results. Come see Dr. John Carson to get some of the best teeth whitening treatments in Tucson. Our office is dedicated to helping you get beautiful, healthy teeth that shine. To learn more about our Tucson teeth whitening options or our other dental services, call (520) 514-7203. Each day provides a new opportunity to care for your teeth and gums. With the proper attitude about oral hygiene, you can prevent issues with decay and gum disease. Try to incorporate the following habits into your daily routine to keep your teeth and gums healthier. Most people move a toothbrush around in their mouth for a few seconds before spitting out the toothpaste and rinsing with some water. If you want to get the most out of your time brushing your teeth, however, it is important to keep the brush in your mouth for at least two minutes. You should also use dental floss at least once a day to target food and plaque that your toothbrush might have missed. If you eat a lot of foods with sugar and starch, you might be increasing your risk for developing cavities. Bacteria in the mouth thrive on sugar and starch. When it comes into contact with these ingredients, it can lead to acid development on your teeth, which can break down your enamel and cause cavities. Try to limit the amount of sugar and starch in your diet to reduce your risk for these oral issues. The body naturally produces saliva to help clean out the mouth and prevent food and plaque building. You can increase the effectiveness of saliva by drinking more water throughout the day. Try to drink a glass of water after each meal to prevent so much food from getting stuck between your teeth. This also helps you stay properly hydrated, which can benefit your entire body. Do not forget to visit Dr. John Carson at least twice a year for routine cleanings and checkups that can help you maintain the health of your teeth and gums even more. When you see the dentist regularly and maintain good oral hygiene at home, you can prevent decay and periodontal disease. To learn more about our office or to schedule an appointment, visit us online or call (520) 514-7203.